Attention Americans: this game is about what we commonly call soccer, which happens to be football in the rest of the world. So Flick Kick Football is a soccer free-kick flick game from PikPok that has fluctuated quite a bit in price but now has seemed to settle on the nice old price of $.99. Flick Kick Football has several different game modes, each putting a slightly different spin on the theme, which is scoring off a free kick. To shoot, you flick upward from the ball. To curve shots, which is necessary for some of the setups, you simply flick with a curved path. The controls are super simple and make enjoying the game very easy. Some shots will have a goalie (who may or may not be oscillating back and forth across the goal), others will only have defenders (various amounts, in various setups), some will have both, and a few will even give you an open net to shoot on. If you nail three shots in a row, your ball becomes on fire and you can actually shoot through defenders or through the goalie, but beware, that dampens the flame and you’ll have to earn that power-up again. There are skill zones located across the crossbar and along the vertical posts. Hitting a shot into these zones will give you various rewards depending on the game modes. Work on your shot in Practice mode. When you feel confident, try out Arcade mode. Here you will shoot until you lose. How might you lose? Missing shots or hitting defenders/the goalie will take away a life. The only way to earn up to three lives is by hitting the skill zones. This is the classic game mode and is one of the most fun or most relaxing. Next is Bullseye mode, which puts three targets in each setup. There are no defenders and no goalie. You are timed this time around. Hitting targets gives you additional time, depending on how close to the bullseye. When you nail all three, another setup appears. Some of the targets move around, and you can hit two or even all three with one excellent shot. Then there’s Skillshot. This is a timed version of arcade mode, basically, with scored shots adding time to the clock. The object here is to score as many shots in the skill zones, as these will grant the largest time reward, and add to your skill zone tally at the top of the screen. Lastly, there is Time Attack. This one is pretty much exactly the same, but the focus is on scoring goals and not just hitting the skill zones. Just when you thought you were bored, you discovered the pretty cool multiplayer. There is both a great pass and play version for your buddies to enjoy with you, and there’s an online multiplayer which is fairly decent for iOS online multiplayers. The worst part about it is that there isn’t an abundance of Flick Kick Football players who are in an online server lobby, so it may take a while to get paired up and ready to go. 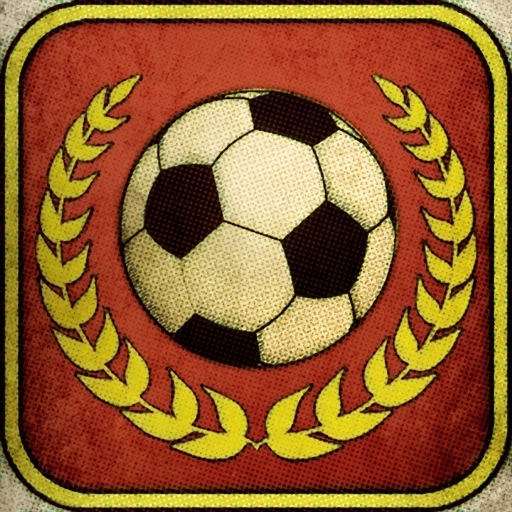 Overall, though, Flick Kick Football would be an amazing free game, but instead is a really solid dollar game. They present you with soccer related quotes while the game loads; the menus are simple but nice; and you can pay additional money to customize the ball, defenders, and jerseys. This is a really nice game, the worst parts being the price and the small amount of advertisements. But it’s right there at a 7/10!